Is The Omega 3/6 Ratio Perception or Reality? 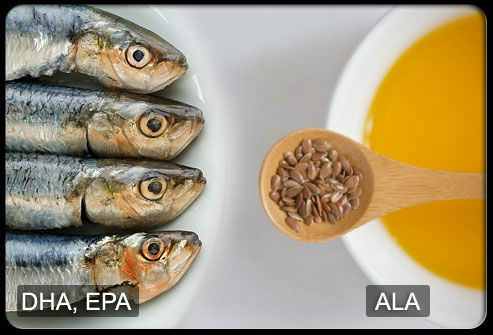 There’s an excellent report from Food Insight about the legitimacy of health claims made about the Omega6/Omega 3 fatty acid ratio. You have to download the PDF at the link. There are a lot of graphs/statistics, but it’s excellent if you can slog through it. Highly recommended. Lots of pundits attribute great importance to the ratio, claiming that it’s the basis of many other health problems. According to the latter report, all those claims are a crock. 1). It says nothing about the absolute intake of either….which is also very important. 2). It doesn’t differentiate between the different types of N-6 and N-3….there are more than one of each. 3). It doesn’t clarify whether it’s a reduction of N-3 fatty acid consumption or an increase in N-6 consumption that causes the problems. People purporting the benefits of the ratio are (at best) making an attribution error. The ratio is a symptom of other nutrition habits (like an out of whack meat/plants ratio) that have degenerating effects. As a general rule, be suspicious of “single variable” eating strategies. Whether it be an ingredient (gluten, fat, lactose, etc) or measurement (n6/n3 ratio, pH, etc). Your body is complicated, making claims about the importance of a single factor probably false. I love this post. Yes, I agree with Einstein that everything should be made simple, but not too simple. I always thought I was supposed to be buying Omega 3-6-9. Doctors seem to think that’s the best, but it always seemed like a marketing thing to me. I mean, why else would they sell Omega 3, 6, and 9 all separately? Hmmm…? Saying the ratio is a myth is simpler than it should be 😉 The truth is, the biochemical reactions ARE complex. The studies aren’t “a crock”…rather, 99% of the health claims that get pushed to consumers are. @Kristy, I agree that buying different oils separately may not be necessary, especially if you’re eating properly. There are a variety of common foods which are good sources of all 3. @Fish_oil – I wouldn’t argue against the benefits of the oils themselves, per se, but all else being equal, I don’t think the Omega3/6 ratio is all that important. You’re right to distinguish between the claims and the reports, but using the ratio as a metric for diet quality has serious drawbacks. @kaycemick – no problem! Omega 6 actually has health benefits that are fairly similar (but not exactly the same) as omega 3, and a mix of both is good. If you’re interested in fish oil, i do suggest reading the presentation that I linked to. I found it very informative.